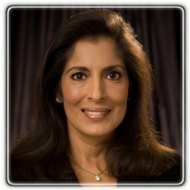 Washington Therapist: Anita Gadhia-Smith - Therapist 20007. Send A Message To Dr. Gadhia-Smith. Awarded "Best of Washington, DC, Psychotherapy, 2013 and 2018" by the Washington DC Award Program. Honored for achievement in the field of mental health by Strathmore's Who's Who Publication, 2013. Visit her website at www.practicaltherapy.net.